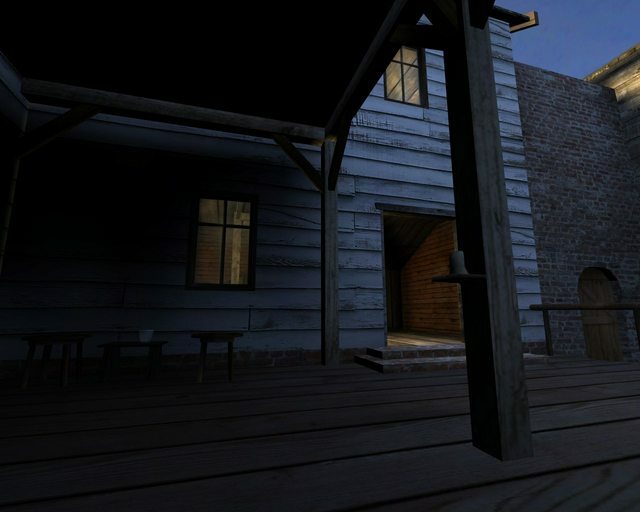 I haven't had anything to say about the wierd stuff because I know that much of it is something that usually gets addressed as a map nears completion. steve wrote: it looks rather messy when you get above the roofline (i.e in spectator mode). For rooftops that are low enough, I'd say texture them. Not everything must be caulked for such minimal savings. For the unavoidable skybrush case, a level-wide playerclip brush to keep spectators from rising high enough to see. Imo the playerclip should be a uniform height (or angled if preferred) in the more open areas if possible, to keep from bumping into invisible barriers. But you probably already thought about these things. Indeed it is! Sorry for the lack of news about the map... I've had nearly no time to work on this or any other projects recently as I have finally managed to find employment... I'll get my arse into gear and try have a beta out next week. please give us SG players this map for Christmas I love it too much. Met you in the game, and you mentioned this map. Pretty awesome looking! I'd love to see it done; I can't imagine how much work you must have spent on this already. Visually I think it is quite an impressive work. I'd like to see how it plays too! 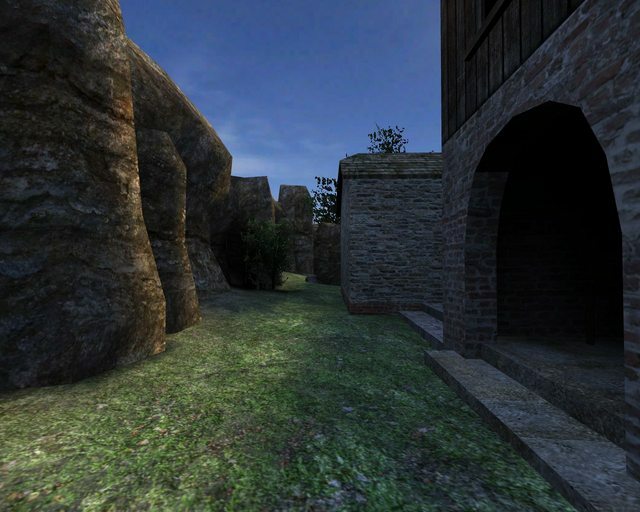 where can i donwload this map? BETA means that it hasn't been released yet and it is not finished. I have returned! I once again have a working computer. Yeah, nothing much to show yet... Still need to get my netradiant setup working again. Do expect updates and a release though! This is great news Steve! I had nearly given up hope for a finished product. Truly a beautiful level. Please continue & give us updates as you progress. And don't you dare disappear again! Still working on the map, slowly. Will post another test version *soon* 1~2 weeks. steve wrote: Will post another test version *soon* 1~2 weeks. Luckily, I didn't hold my breath . How is your work progressing?